NVMestorage delivers a new modern data architecture solution that integrate seamlessly and expand your current infrastructure one device at a time to reduce overprovisioning. All roadblocks are eliminated as application servers independently scale from storage resources to match workload demands and improve efficiency without centralized and performance consuming in relevant functionalities. NVMestorage solutions offers from 3Tb up to 48Tb capacity per device. With an 100k Iops, 1GB/s read and 800Mb/s write capability and only 400us latency, matching the best capacity and performance needs is easy. NVMe storage solutions offers the same capabilities in a various form factors. We deliver U.2, M.2, PCIe form factor NVMe capacity to fit your server architecture choice. Also fully build and validated 1u, 2u or 4u arrays are available. 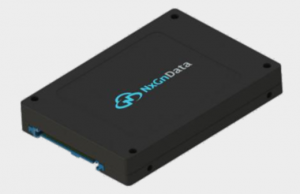 NVMestorage solutions use NGD Systems proprietary Elastic FTL and Advanced LDPC Engines to provide NAND Flash Agnostic capabilities and industry leading capacity scalability. 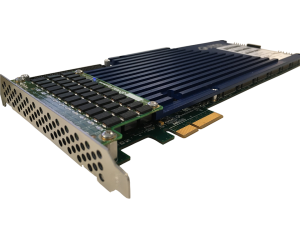 This elasticity supports the ever-changing availability of 3D NAND, QLC NAND, and future NAND device specifications.